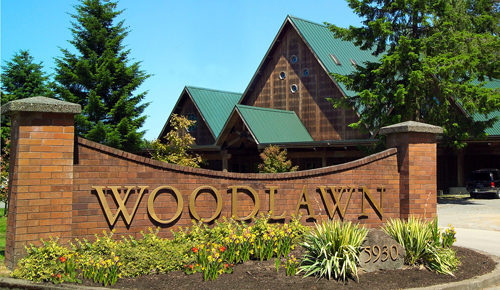 Our funeral home building was constructed in a Northwest open-beam style. What truly makes this 25,000 square foot facility unique is the thought, care, and creativity put into the building. For interesting and unusual features of the building, see our History page. The grand lobby is spacious and open to the ceiling. 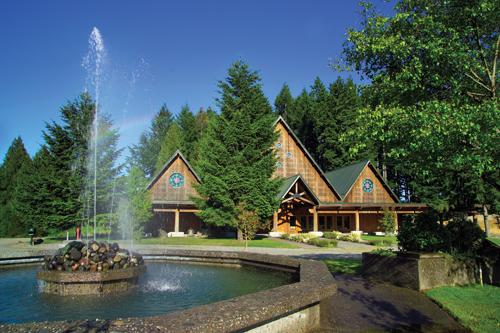 It is a welcoming gathering place for families to visit and share memories. Quite often families will display photos of a loved one throughout the lobby. It also serves as additional seating for large services in our main chapel. 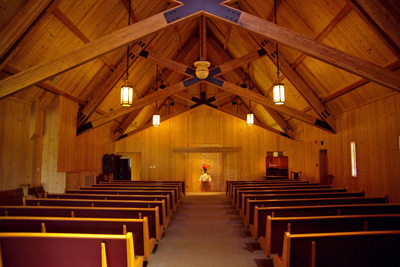 Our large chapel, with a capacity of 200 people, can accommodate most services. It has a state of the art sound system and video/PowerPoint presentation capability. 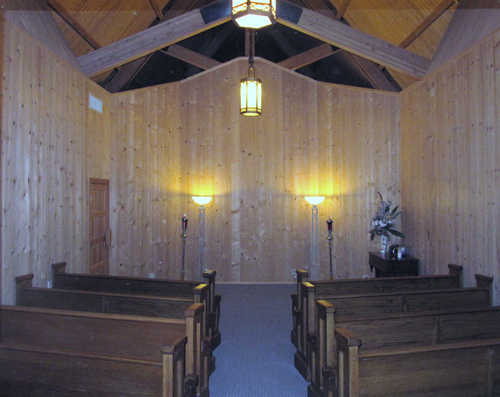 Our small chapel, with a capacity of 35, is perfect for a small, intimate funeral. This chapel is often used for private family viewings. It features a steeple-shaped roof line and offers a small country church atmosphere. loved one’s urn. 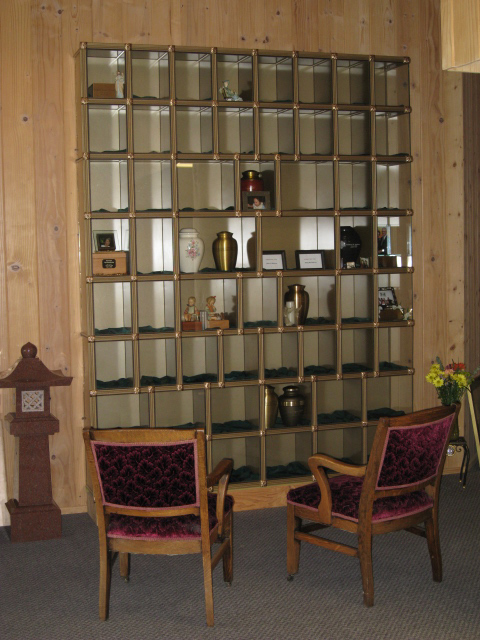 These niches also provide a unique way to personalize the final resting place. Regardless of our unpredictable northwest weather, family can gather in comfort to remember a loved one enshrined in one of our elegant niches. 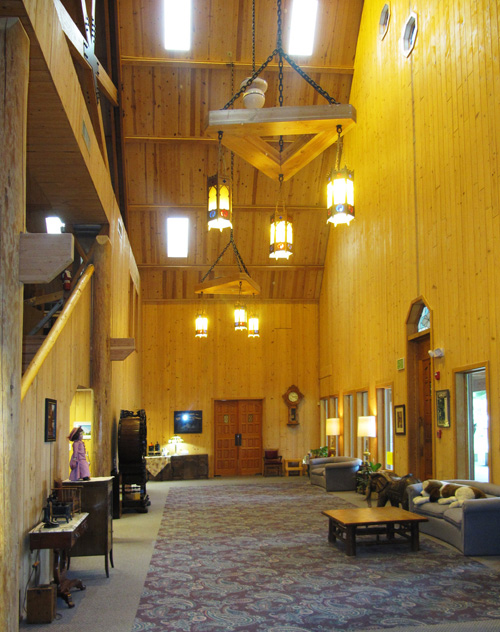 Our reception area is 1,000 square feet and can accommodate groups of up to 100 people easily. Your reception can be as simple as visiting with friends over coffee. 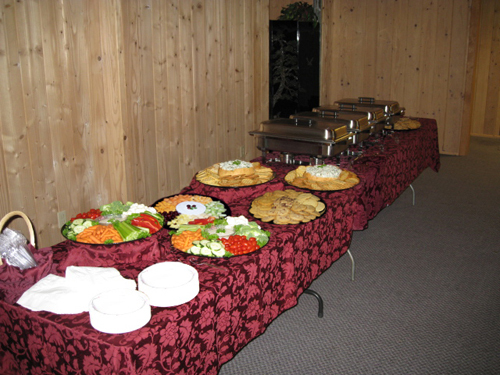 We offer catered receptions with a wide variety of options to choose from.